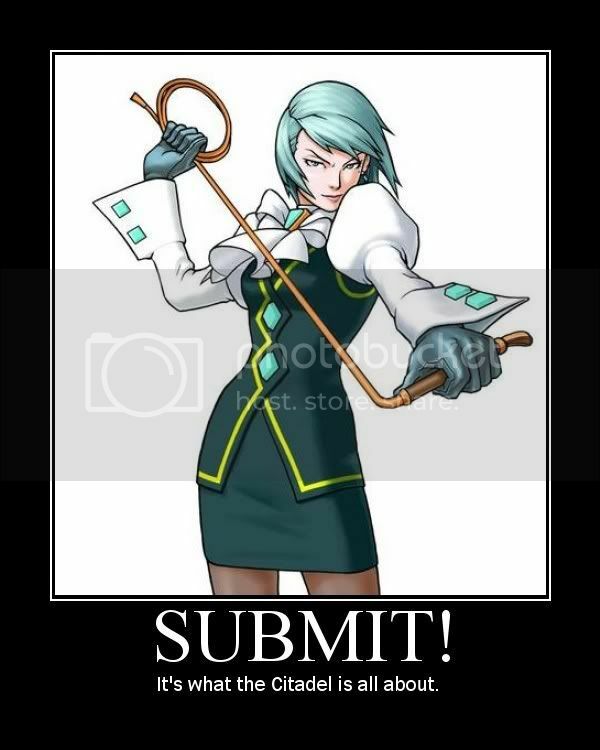 Okay, if you know anyone who visits www.rpg.net, you have at one time or another seen a link to an RPG motivational poster. They are just like those motivational posters that business people like... black border, cool graphic, pithy title, and some explaining text. RPG Motivational posters are just like that, except gaming. They are more explanations of games and game terms, than motivational, but they are quite cool. 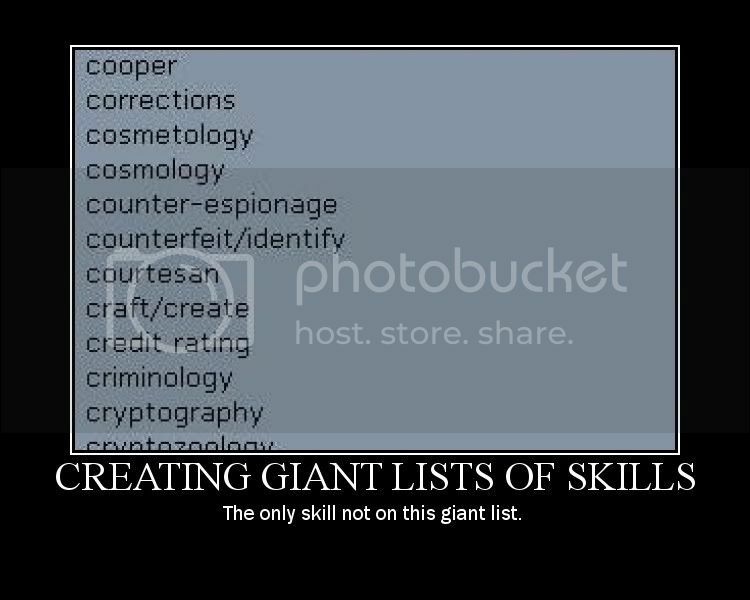 This is the wiki that holds almost all of them. *chuckles* The Solar Circle from the first link was nice... and many others. Another great way of wasting time I have to avoid. Well, here are a few (read three) posters which I have made using only Citadel stuff. Personally, I enjoyed reading that thread (if it could be called reading). It was actually a lot harder to find an image for that one than I expected it would be. They're a bit harder to read than I'd hoped (although I retyped the first because otherwise it wouldn't have been particularly amusing), but I think they get the point across. 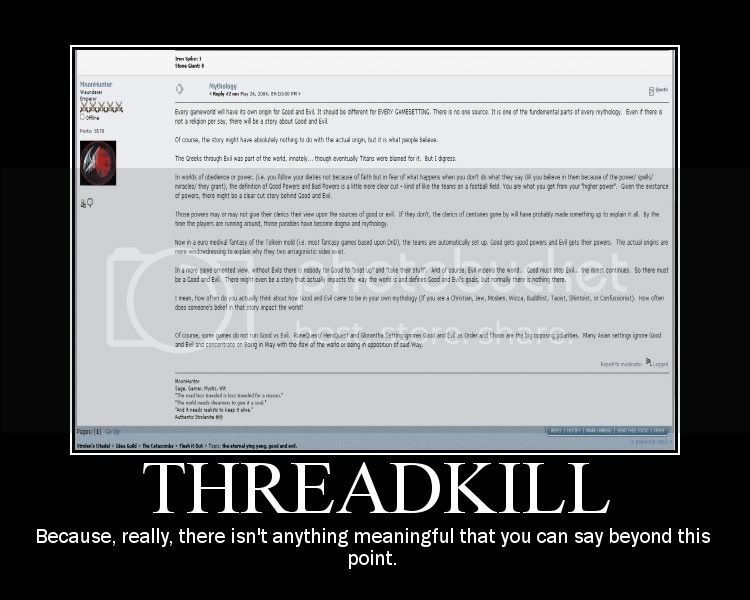 I wish I could read the threadkill post better but those are all AWESOME. They have closed out yet another thread of this. I have added the enw one to the listing above. So we should do more of these, those are fun. AWESOME! That is dang funny! These aren't my favorites, but I do like them. 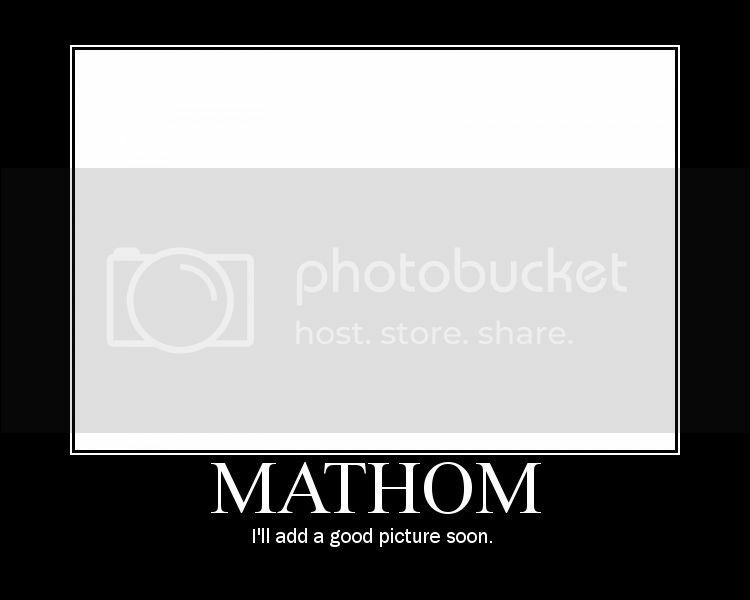 5/5 for the Mathom poster. DragonLord, you really should post those up on www.rpg.net 's thread. With links back here. They are very fun. 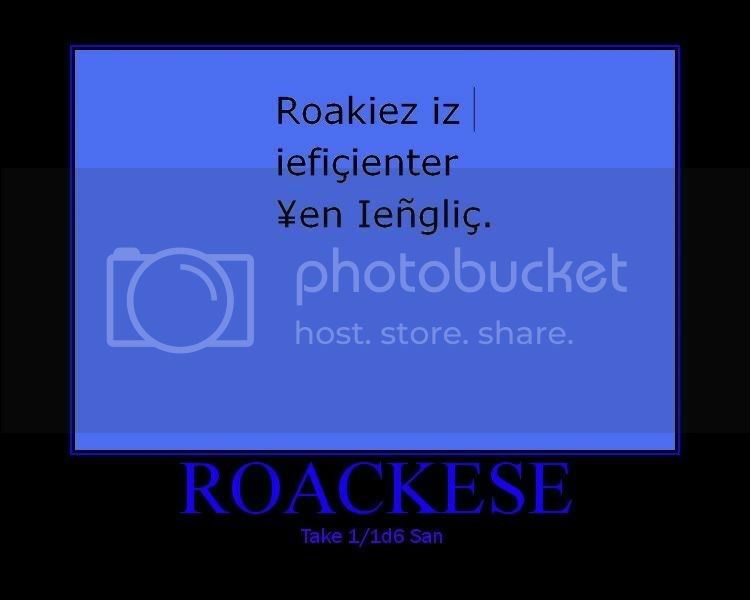 And they translate well, even if you don't know here. I mean if the Transtellar cartoonist can submit a dozen or so using his web comic, I think we warrent the same thing. 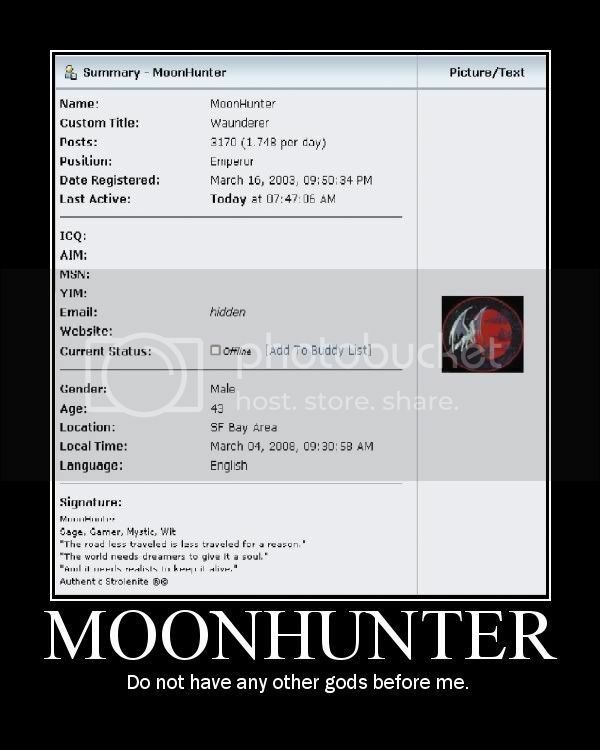 MoonHunter, still posting more game ideas than you. Could someone please give DLM a beer? That was bloody genius, man! I second what AG said. All of them were hillarious, especially the Mathom poster. Here, have one of my own creation.